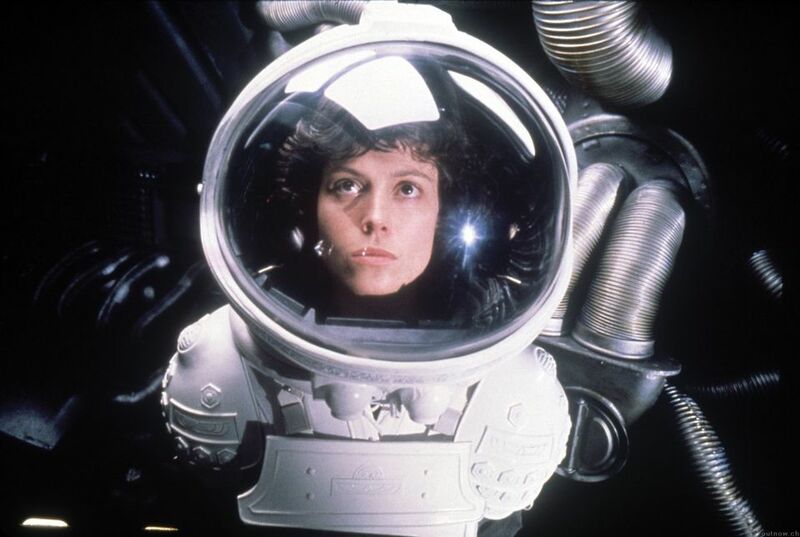 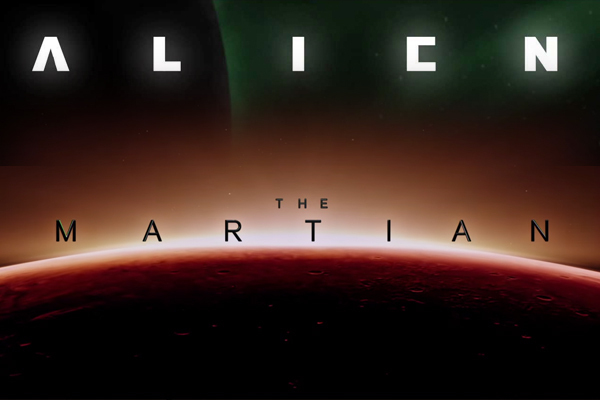 The imagery of Alien (1979) merges with the new The Martian (2015). 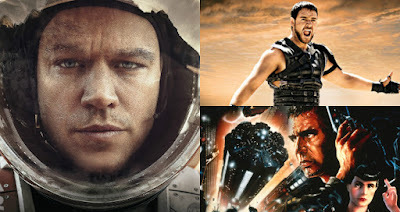 Both were directed by Ridley Scott. 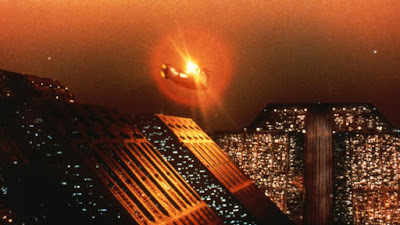 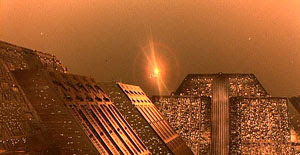 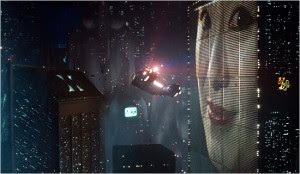 Ridley Scott also directed Blade Runner (1982). 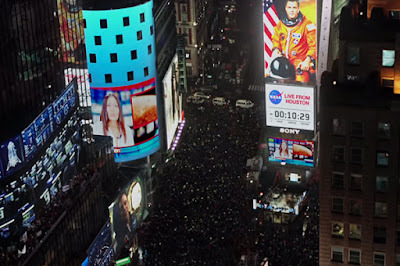 Ridley Scott films: The Martian (2015), Gladiator (2000), and Blade Runner (1982). 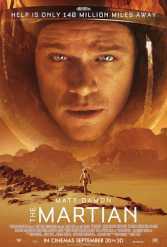 In the 2005 documentary short, Magnificent Desolation: Walking on the Moon 3 (directed by Mark Cowen), Matt Damon was the voice of Al Shepard and Matthew McConaughey was the voice of Al Bean. 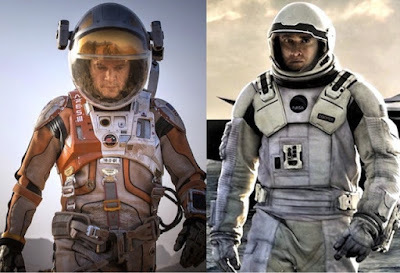 The Martian (2015) has been compared to Interstellar (2014), which was directed by Christopher Nolan. 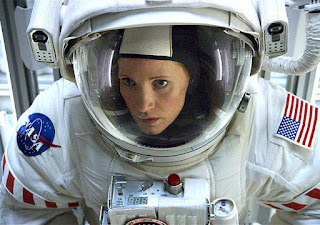 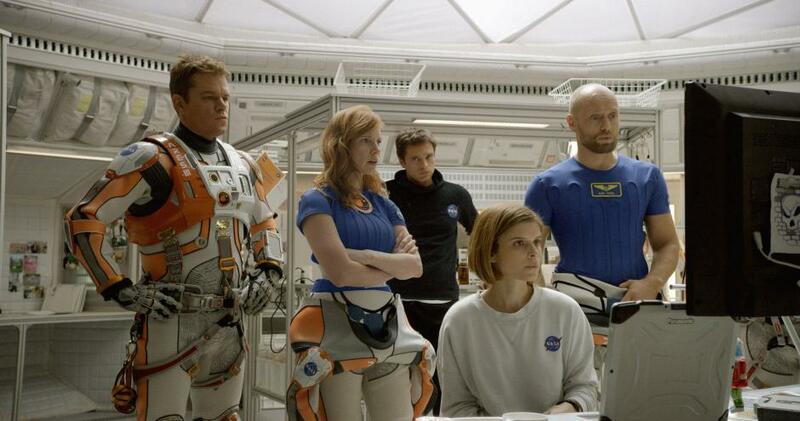 Interstellar starred Matthew McConaughey (as Cooper, shown above on the right), as well as Matt Damon (on the left above) and Jessica Chastain (below right), who both were in The Martian (2015). 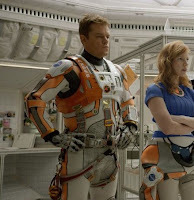 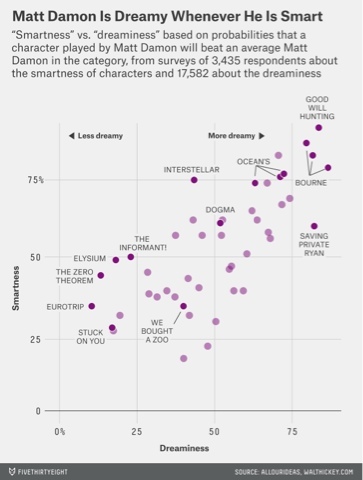 Reviews are actually talking of The Martian as the Anti-Interstellar. 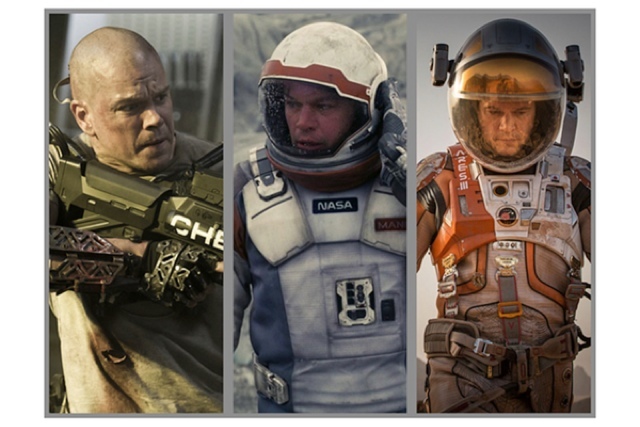 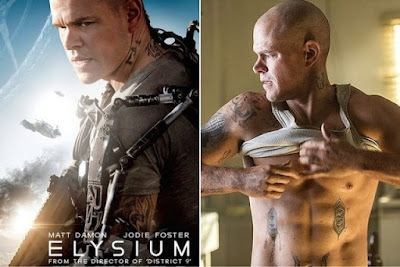 Three space films in three years: Matt Damon appeared in (L to R): Elysium (as Max), Interstellar (as Mann) and The Martian (as Mark Watney). Credit: Elysium: Columbia TriStar; Interstellar: Paramount Pictures, Warner Brothers; The Martian: ™ and © 2015 Twentieth Century Fox Film Corporation. 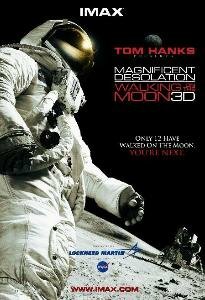 Issued for promotional use. 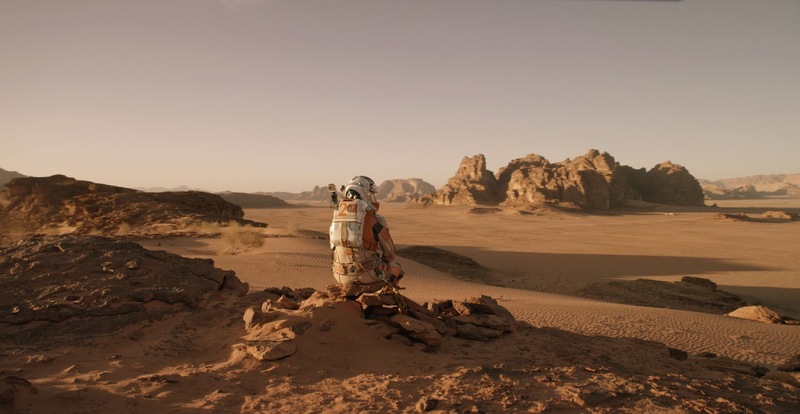 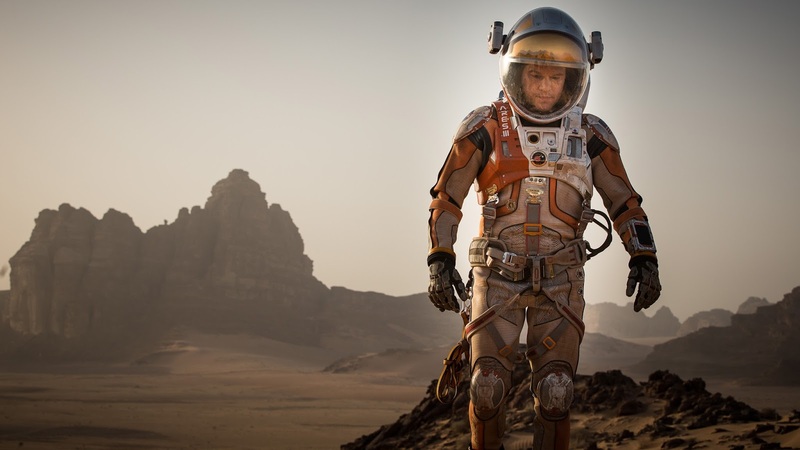 One of the characters of The Martian is the landscape. Filming of The Martian took place at Wadi Rum, also known as The Valley of the Moon, in Jordan, which served the backdrop, as Mars. 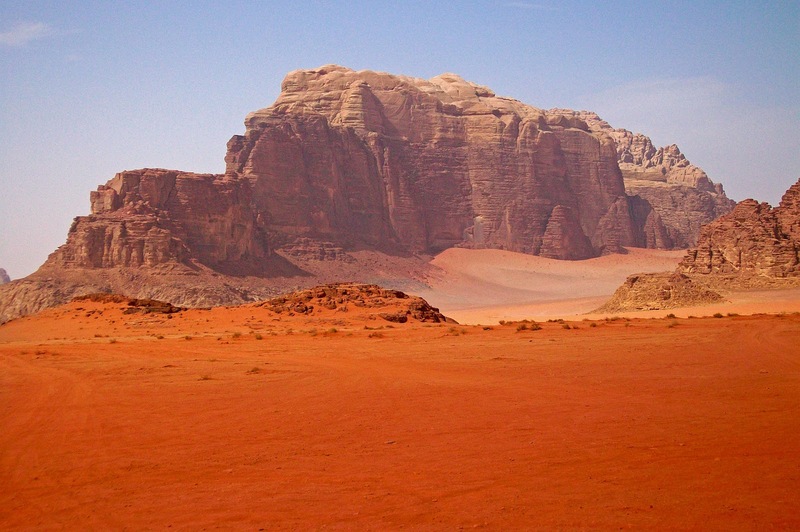 Wadi Rum has been used as a backdrop for other films set on Mars, including Mission to Mars (2000), Red Planet (2000), and The Last Days on Mars (2013). 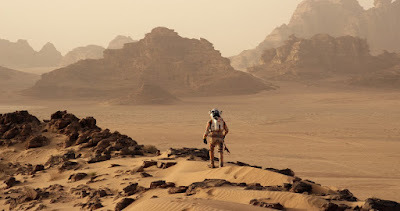 Ridley Scott employed Wadi Rum for shooting the scenes of the Alien Planet for Prometheus. 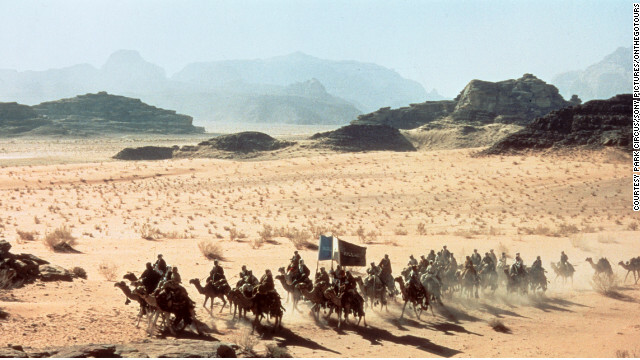 Wadi Rum was also the site for the following films: Lawrence of Arabia (1962), Passion in the Desert (1998), and Transformers: Revenge of the Fallen (2009). Wadi Rum, Jordan, near the border with Saudi Arabia, appears unchanged from the blood red scenes described in T. E. Lawrence's Seven Pillars of Wisdom. 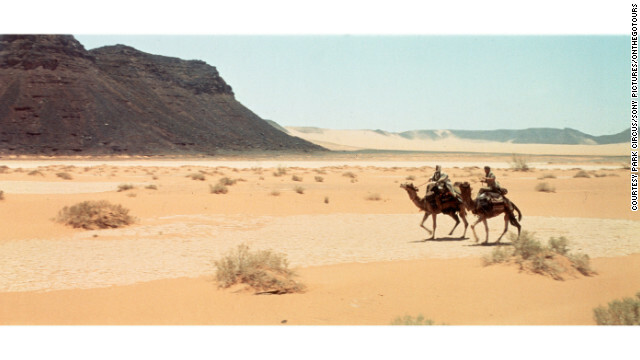 It is the same landscape which David Lean used as the backdrop for the Englishman's first encounter with Alec Guinness' Prince Faisal -- in what is now a protected UNESCO World Heritage Site. It makes a perfect setting for a cinematic Mars. 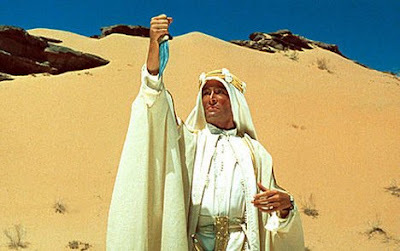 Peter O'Toole played Lawrence of Arabia. Sources: 1, 2, 3, 4, 5, 6, 7, 8, 9, 10, and 11. 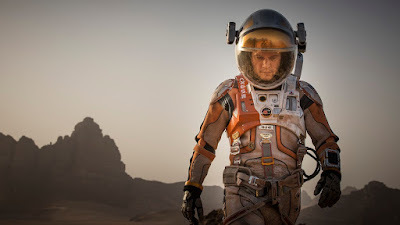 This song is used in The Martian.